Sherry Pence’s TIAS – Day One – Tatted by Natalie Rogers. Today’s pattern bit was very straight forward. The most challenging part for me in this section was the measured mock picot. It took me a few tries to figure out how to hold my gauge and get the distance right. 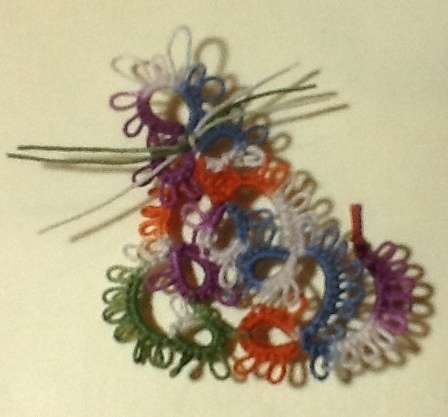 I don’t normally tat with picot gauges – so that may take some getting used to. The only thing I’m not happy with is that the first picot twisted – I’m hoping there is a join to that picot later on that will correct that issue. I don’t have any guesses yet as to what the finished pattern might be. So I definitely made 1/2″ picots yesterday, using my picot gauge vertically. 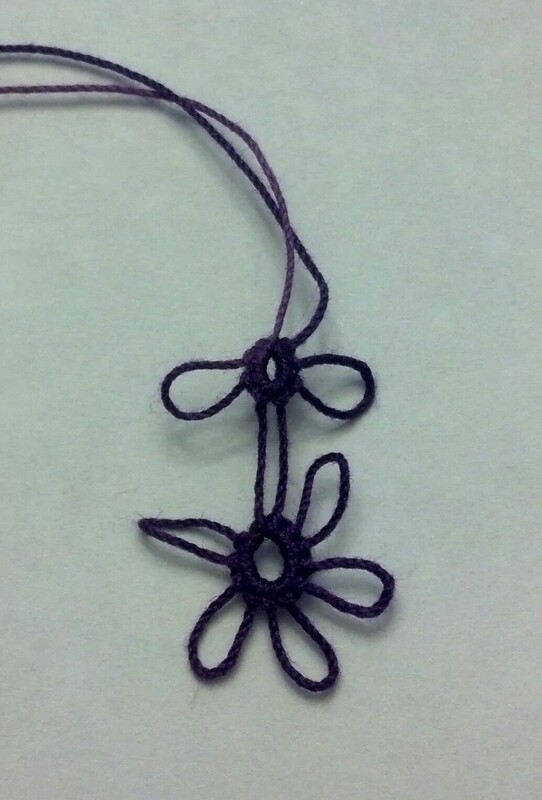 So with Sherry’s announcement this morning that the picots should be 1/4″, I had a bit of fun retro tatting. Each time I practice taking out a ring it seems to get easier. I managed to undo all of yesterday’s work so that I could re-tat Day One. So here it is, in all it’s 1/4″ picot-y goodness. Sherry Pence’s TIAS – Day One -Now with 1/4″ picots! – Tatted by Natalie Rogers. 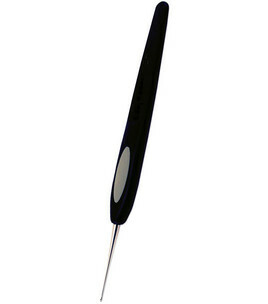 Quilting Tools for Your Tatting Pleasure. 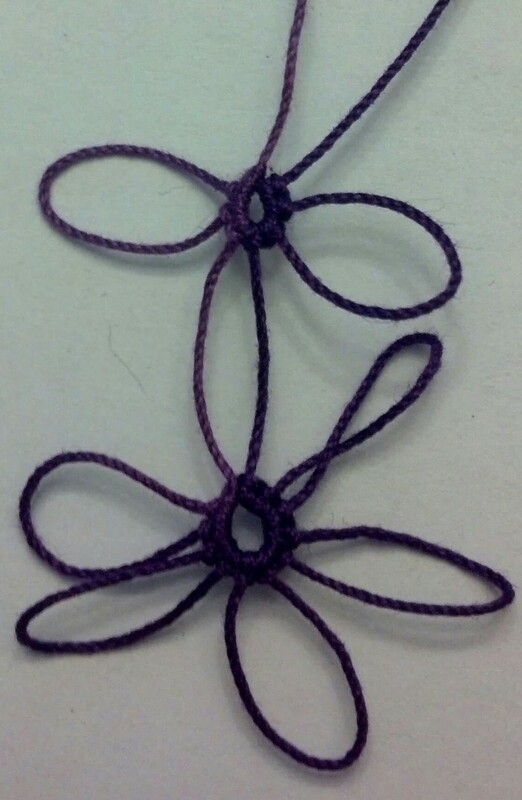 I love finding tatting supplies in other areas of the craft stores, especially if it is something I lose ALLOT! I love my Handy Hands Picot gauge but I have trouble finding it when I drop it. If they would redesign it so it was day-glo pink or orange so I can see it under my couch I would be a happy little tatter. Now I have a back up I found in the quilting department at JoAnns. 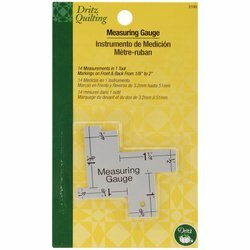 The measuring gauges are traditionally used by quilters to check seam allowances and sewing lines, they are handy for making uniform picots from 1/4 to 2 inches. The Dritz aluminum gauge had a rough edge on it when I bought it but that was quickly rectified with a couple of swipes of a fine emery board. Right next to the gauges, was the Clover Soft Touch Thread Pic. Approximately the same size as a 16 crochet hook, the thread pic has a slightly different shape at it’s head that, in my opinion, helps to get it into tight spaces. I generally use it to split the threads and use the hooks on the ends of my shuttles to make the joins. 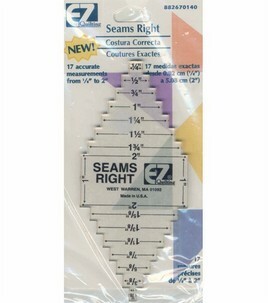 It is my go to tool for retro tatting and when I am using the higher numbered threads. The Kitten pictured was made using Lizbeth 2o Carousel #112 and the Dritz Gauge. All picots are 1/4 inch except the Ears that were 5/8. Pattern for the Kitty was our Wednesday Weekly Challenge #5. You can purchase the Handy Hands Picot Gauge from DS9Designs here. All other items can be found at a big box craft store near you.